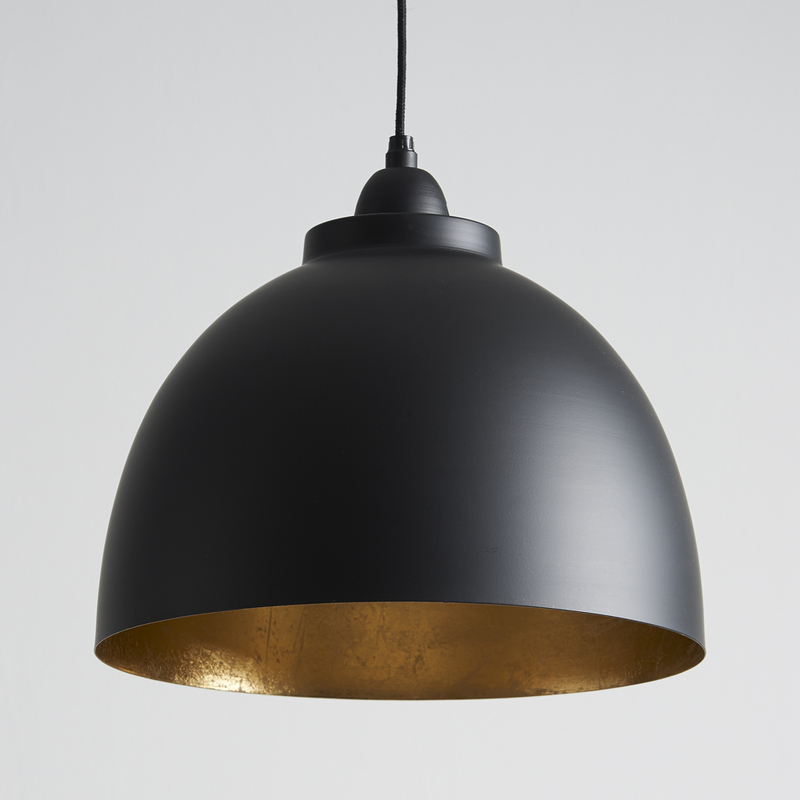 This stunning, traditionally styled pendant is made from aluminium and given a matt black finish on the outside and a gold leaf finish on the inside, for a lovely warm glow! It looks great lit or unlit. 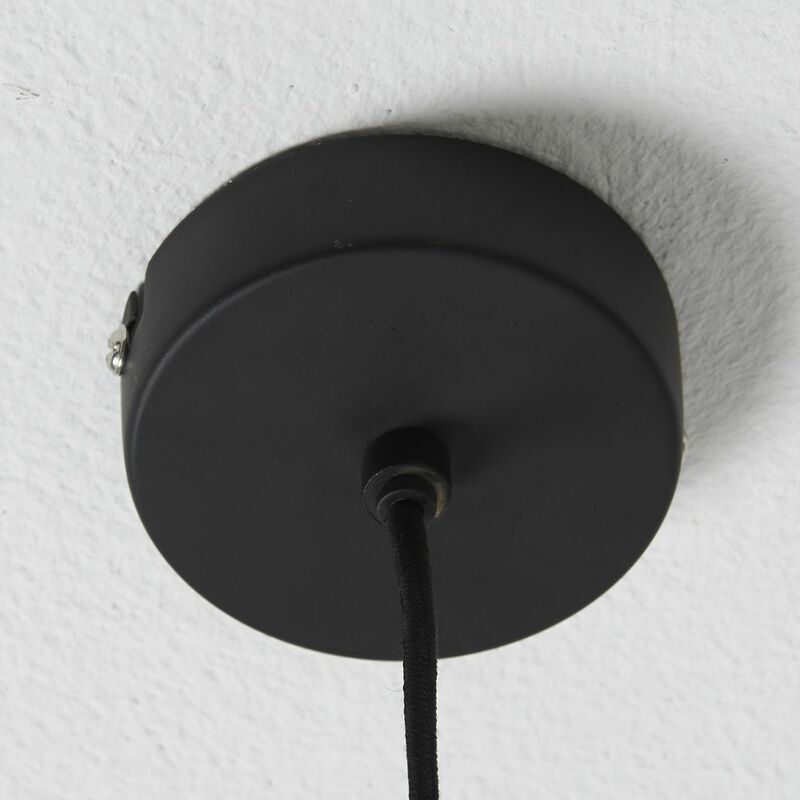 It comes with approximately 100cm of flex and matching black aluminium rose. Ideal in kitchens, dining rooms, hallways or living rooms, they look great on their own and also in 2s or 3s. Small: 30cm dia x 26cm high. Takes a standard E27 (large screw) bulb.